H&K Pet Supply was established in Des Moines, Iowa by the founders of a family-owned leading global manufacturer and exporter of pet products. Having established itself as a reliable manufacturer of pet products for the demanding wholesale and retail customers of Europe over the last decade, H&K Pet Supply was founded to bring the reliable product quality and customer service enjoyed by our global customers directly to the U.S. market. Over the past 14 years, H&K Pet Supply’s manufacturing facilities in Huanghua, Hebei have grown to be one of the world’s largest producers of pet products. Our facilities employ over 150 workers and cover 200,000 square feet of welding, coating, and packaging workshops. These facilities include production of pet kennels, cages, beds, houses, leashes and collars. H&K Pet Supply’s production facilities include an innovative research and development department focusing on the development of electric dog training products. With a monthly production capacity of 95,000 cubic feet of product and its proximity to Tianjin Port, you are assured prompt production and delivery of any order from H&K Pet Supply. Can we have our own brand name placed on individual H&K Pet Supply products or on the product box? Yes! H&K Pet Supply can provide products according to your specifications including brand name, logo, custom color, size and packaging. OEM services can also be provided. Please include customization requests in your initial inquiry. We’d be glad to show you examples of similar requests we’ve fulfilled before. How long is the lead-time for production of H&K Pet Supply products? In general production lead-time is 25-40 days. However, specific delivery times depend on the particular items and quantities of your order. What are H&K Pet Supply’s terms of delivery? We can deliver orders in accordance with your needs, offering EXW, FOB, CFR, CIF, DDU or DDP terms for delivery of your order. What warranty does H&K Pet Supply offer on its products? All H&K Pet Supply products include a one-year manufacturer warranty. Any warranty-related inquiries can be directed to info@petsupplymfg.com. What are H&K Pet Supply’s payment terms? You become a preferred customer by making full payment in advance of your first order. On subsequent orders, H&K Pet Supply will gladly accept 30% payment at the point of contract signing with the balance due once a copy of the bill of lading is provided. Payments via T/T and Letter of Credit are preferred, although payments for smaller orders may also be made via PayPal, Credit Card and Western Union. Other terms of payment may be negotiated if needed. Can you produce items according to samples or technical drawings? Yes, H&K Pet Supply would be glad to do so. 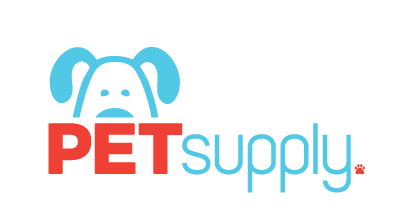 WE WELCOME THE OPPORTUNITY TO LEARN MORE ABOUT YOUR petsupply manufacturing requirements. PLEASE EMAIL US WITH QUESTIONS ABOUT OUR PRODUCTS, QUALITY STANDARDS, AND CAPABILITIES.